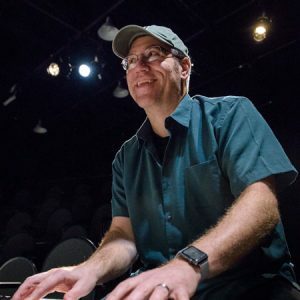 Employment opportunity: WIT seeks Marketing Associate Ben Taylor helps furloughed feds "grow something useful out of the void"
Washington Improv Theater’s veteran company ensemble iMusical seeks a new accompanist to join the ensemble, sharing those duties with the current (and founding) director/accompanist. This is a paid position, offering the unique opportunity for a qualified candidate to become part of the company which has been creating improvised musical theater in the DC metro area to critical and audience acclaim since 2006. Open call auditions will be held on Saturday, March 2, at Source (1835 14th St., NW). experience in improv comedy, as either a director or performer. It is highly encouraged that applicants have seen the show prior to auditioning. Please check the website for the current schedule, or see past performances on YouTube to get a sense of the show. If you have any questions, please email the director at iloveimusical@mac.com.